I haven't posted much here on myArmoury, so perhaps an introduction is in order- I have been making blades & jewelry inspired by history for nearly 25 years. I went to Maine College of Art and majored in Jewelry & Metalsmithing, and graduated in '93. Since then I have worked for a fair number of artist-jewelers and in 1998 or so began making knives and jewelry full time. I'm generally inspired by blades from the Viking era, but also enjoy Antiquity. Lately I've been enjoying the so-called Birka / Gotland knife styles, including this one. This piece has a handle and a shape more reminiscent of modern Scandinavian styles, but not, I think, outside the realm of historical possibility. The fairly well known Archeodok CD Viking Knives from the island of Gotland Sweden was a good source for inspiration. 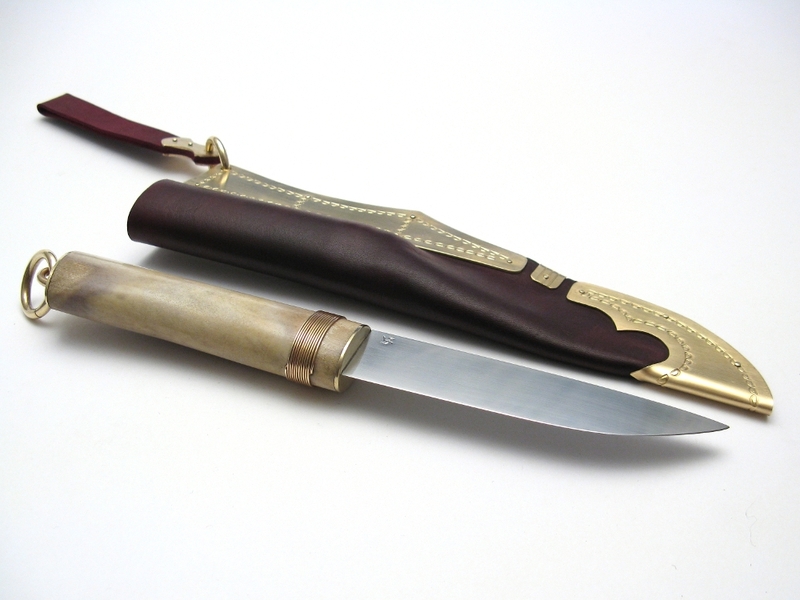 The knife was forged during a class I taught at Peter's Valley Craft School in New Jersey out of 1084. The handle is moose antler found in the woods of Vermont by a friend of mine. The leather is vegetable tanned and dyed a deep red. The metal fittings are all zinc alloy brass / bronze and stamped with my own hand made tools. The blade is 5" / 12.9 cm and the handle is 4 7/8" / 12.5 cm. The spine at its thickest is 3/16" / 5 mm thick. 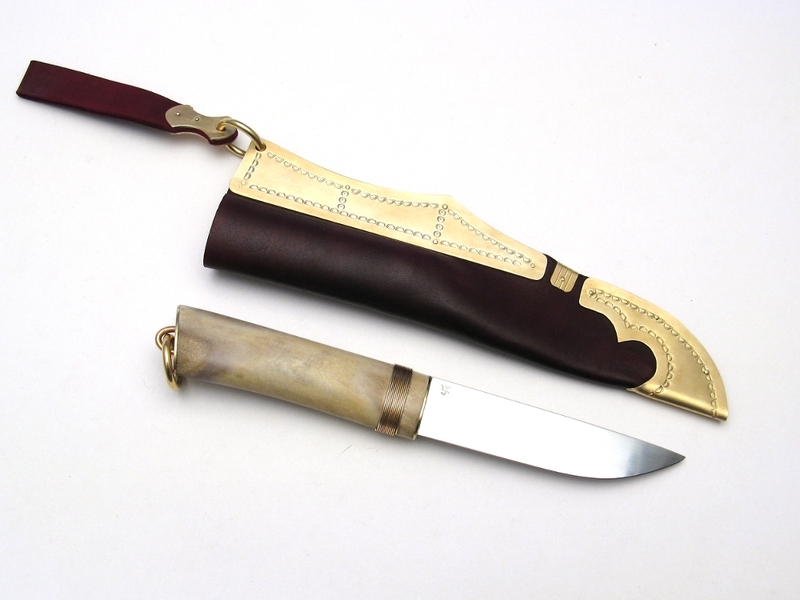 The sheath is 10 /38" / 26.7 cm and when hanging, the overall sheathed length is 16" / 41 cm. 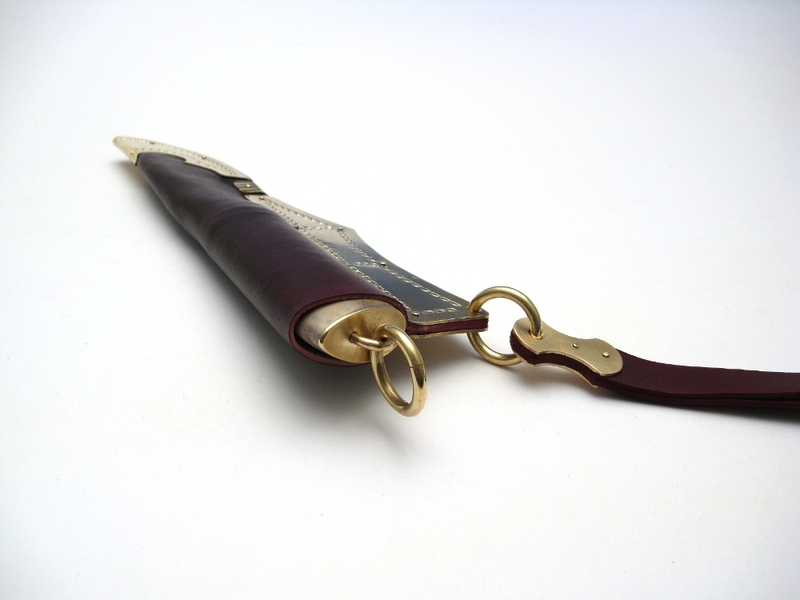 It's available by contacting me here or off of my jloose.com website or by going to my seax-birka-gotland-knife?ref=pr_shop" target="_blank" class="postlink">Etsy site.